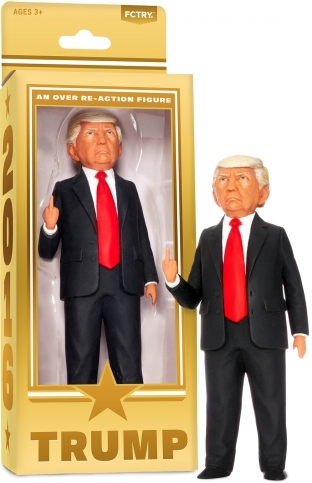 Starting January 30, 100% of the profits from our Trump Action Figure will be sent to the American Civil Liberties Union. Introducing the Trump Action Figure. Only he can fix America! We don't even make any money from selling these things. 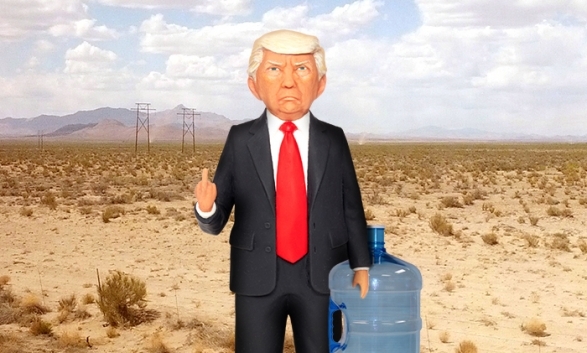 Prior to the Election, a percentage of our sales for the Trump Action Figure were donated to Border Angels, a non-profit benefiting immigrants crossing the Mexican border. Seattle based artist Mike Leavitt begrudgingly agreed to create a Donald Trump sculpture for us to model the figure after. The entire team was disgusted by how great it turned out. Our product team worked day and night to capture all the subtle details. Write your own version of history with the Bernie Sanders and Hillary Clinton Action Figures. 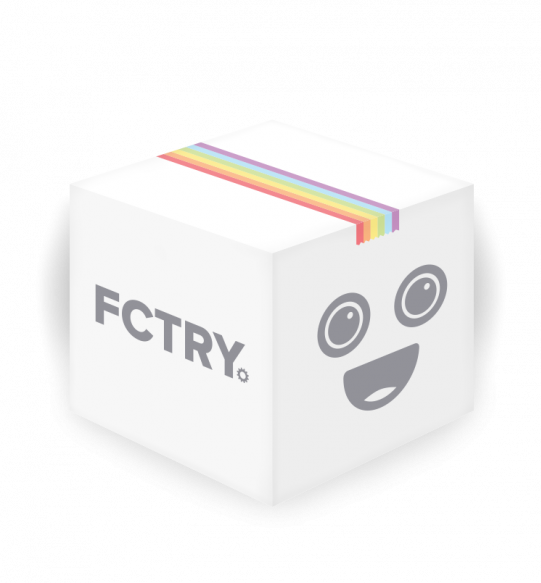 The Trump Action Figure was made by FCTRY, a happy little product design studio in Brooklyn. We create fun brands and unique, useful, high-quality products that add a little special something to your life.